Leagas Delaney was victorious after a shoot-out against Droga5 and Bartle Bogle Hegarty in a pitch process led by Stuart Pocock from The Observatory International. The account, overseen by Peroni’s global marketing team, was previously handled by The Bank, which closed earlier this year. Droga5, meanwhile, has been awarded the global creative account for the Japanese brewer’s namesake brand, Asahi Super Dry, in a separate competitive pitch. 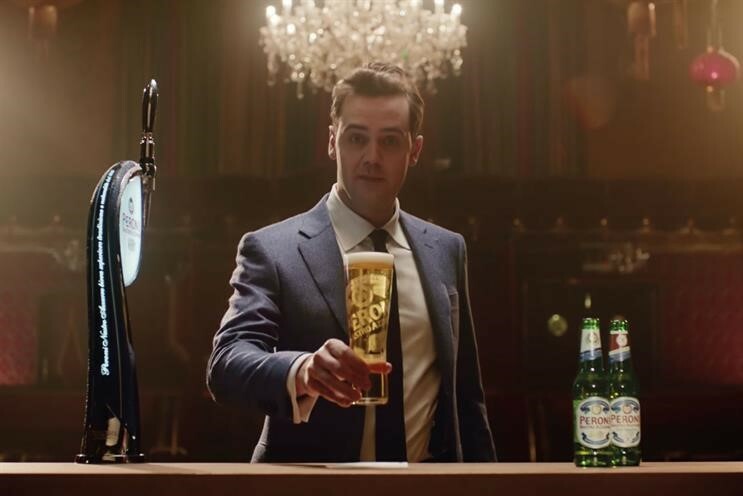 Droga5 was also appointed to the Peroni UK advertising account, as well as work related to the events and content strand House of Peroni, in August. This account was previously held by M&C Saatchi. Peroni was acquired by Asahi Group, Japan’s largest brewer, last year, in a sale to satisfy competition authorities after its previous owner SABMiller was acquired by AB InBev. Leagas Delaney will produce work to run in the UK, China, Japan and the US at an as-yet undetermined point in 2018. It will be digitally and socially led and may include TV, though this is unconfirmed. Fergus Hay, chief executive of Leagas Delaney, told Campaign the priority for the brand was to reconnect with consumers under 34 by bolstering its association with everything that’s cool. Over the last decade, Hay said, Peroni had done a strong job in the UK of establishing itself as a “style brand”, but that it had to some extent “lost the younger consumer who got distracted by craft beer – really individual beers that had a story to them”. He acknowledged that craft beer was setting the terms of the market for many young beer drinkers, but said that rather than trying to compete on its craft credentials or ingredients, Peroni would transcend that discussion – positioning itself as a brand that has nothing to prove. “You can talk about your hops and where you’ve been made,” he said, in reference to the likes of Brewdog. Hay said the claim to be a style icon would lack credibility if the brand was not actively contributing to the cultural conversation. “The main thing we decided is you can’t be a brand that just reflects style – you need to be a brand that curates and commissions it,” he said. This would involve collaborating with curators and influencers across the world in a number of fields, he added, potentially including fashion, music, art and poetry. Gisela Rule, global brands portoflio director, Asahi Europe, said: “We were looking for a strategic and creative partner who understood what’s true about our brand and could connect with the younger global consumer on an emotional level and in the communications channels that our target consumer lives in. Droga5 has been appointed to run a £1.5m campaign for Asahi Super Dry, focused on key markets including the UK, France, Italy and the Netherlands. The campaign will highlight Asahi’s Japanese heritage, with key channels being outdoor, social, online and experiential.